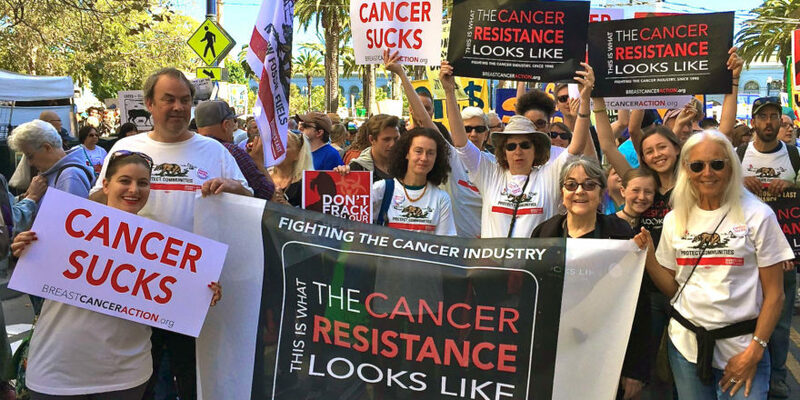 For the past 20 years, Breast Cancer Action has repeatedly called on elected officials to protect our environment, work toward eliminating social inequities related to breast cancer incidence and outcomes, and put patients before company profits. Our long-term strategy includes advocating for comprehensive chemical reform, which includes addressing the holes left in the outdated Toxic Substances Control Act of 1976 (TSCA). To advance this goal, BCA recently signed on in support of the Safe Chemicals Act of 2010, which will modernize key elements of TSCA. This legislation requires the safety testing of all industrial chemicals and shifts the burden to the chemical industry to prove that chemicals are safe in order to stay on the market. TSCA was last reformed 34 years ago, so an overhaul is long overdue. Sen. Frank Lautenberg (D-NJ), Rep. Bobby Rush (D-IL), and Rep. Henry Waxman (D-CA) introduced the legislation in April in order to better protect Americans from toxic chemicals in everyday household products. Current law does not require manufacturers to prove that their products are safe before selling them; in fact, only about 200 of the over 80,000 chemicals on the market have actually been tested for safety. Clearly, that’s not enough. BCA is working toward a standard whereby chemical manufacturers, not consumers, bear the burden of proving their products are safe. We applaud Sen. Lautenberg and Representatives Rush and Waxman for their leadership on this important issue!